Hiring her was such a relief to me and I finally felt at peace with delivering in a hospital around the holidays. We also attended her classes even though this wasn’t our first baby: my husband and I learned some new things, and got a refresher on some other things. I honestly think everyone can benefit from her well researched and in depth classes no matter if this is first or fifth baby. It was midnight and she responded to my texts and had me call her so she could best gauge what was going on and it was labor. She was at my house with her colleague in the wee hours of the morning, and even though I’m sure they were sleepy I never felt anything but happiness and love from her. She and my husband and her colleague helped my laboring at home be peaceful. And once we transferred to the hospital she was such a massive blessing to us! From helping me get hydration, to speaking up and repeatedly reminding staff I needed a room, to massage with oils, to helping my husband be voice of reason and talk me back from caving into medications. Even after a less than ideal actual delivery due to hospital staff, she was right back by my side to be my literal voice when I sent hubby to stay with baby boy; I could not speak, my voice was hoarse and I was exhausted and so I wasn’t being heard but she heard me and she spoke my words and got my needs met. Without her I would have been ignored at a very vulnerable time and that was invaluable to me. We also had chosen Shelby to do our placenta encapsulation and she was great about getting them back to me asap since I suffer from PPD/PPA after each delivery. I feel blessed to have found her, and had her at our side for this journey. Without her classes and knowledge, without her soothing and confident presence both via text and at my side during labor and delivery, I don’t think I would have been able to have the successful unmedicated VBAC that I dreamed of and was able to achieve. I attribute that success to having her as our doula. My only regret is that I’m done having babies. I wish I had found her sooner so she could have helped me bring all my babies Earthside. 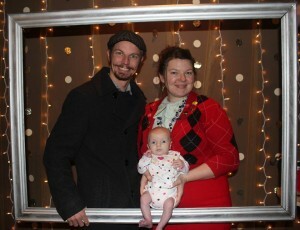 Alix, Brad, Donovan (and my 3 crazy girls, too!) – San Antonio TX. My wife Teresa and I had the pleasure of working with Shelby as our doula, childbirth educator and midwife through our first pregnancy. Being pregnant for the first time I was insecure about how best to care for my wife, especially during labor. I had heard many horror stories about how helpless it feels to be a husband watching your wife go through the pain of childbirth. Above all else, I wanted to be able to take care of my wife and our daughter through pregnancy and birth. We heard about doulas, and specifically about Shelby, from close friends who had worked with her in the past. We decided to sit down with Shelby for an initial meeting to get more information, and a few days later decided to hire her as our doula and childbirth educator. 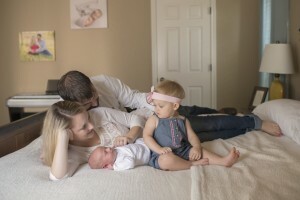 Through Shelby’s care and class, I received great confidence in my role throughout pregnancy and birth, and my wife gained confidence in her body’s ability to deliver a child naturally. When it came time for the birth I knew how to support my wife through her pain, and she knew how to listen to her body and the baby. Shelby was with us every step of the way, including several home visits before and after pregnancy. We were blessed to have been cared for and educated by Shelby throughout our pregnancy and birth. ~ Ben H. – San Antonio TX. Where do I start. We had the best experience with Shelby as our Doula and midwife in training! When I first brought up the subject to my husband about hiring a doula, I was thinking I needed one for a hospital birth. I than reached out on FB asking for recommendations, I shortly received several for Shelby! We contacted her and made an appt for an interview. As soon as we were done I knew she was sent by God! I told me husband I had so much faith in Shelby’s guidance I now wanted a homebirth and to hire Shelby as our Doula! So now we need a midwife. Shelby is in the process of becoming a midwife so we decided to hire a Midwife she works under! So now we have Shelby’s support for both roles! It was absolutely the best decision I have ever made for my baby girl! Shelby was there for me throughout my entire pregnancy with all my questions and concerns about everything and anything! She provides so much knowledge it’s incredible! We also took her Natural Child Birth classes and those were amazing! I learned so much about my body during and after pregnancy, as well as the baby! That class gave me all the faith and trust in my body to do the delivery at home, I had no fear! So come to 39 weeks 5 days, my water broke while I was asleep so I called Shelby and she calmly told me to try and get some rest and keep her posted. So I did as much as I could but my baby was ready! I called her and told her I needed her, she was at my house within 1 hr! She provided the best support during my labor and kept me calm and helped me thru the contractions. 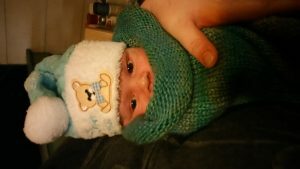 Once we were in my tub our midwife showed up, everything was going as planned! Thanks to Shelby’s support we were able to deliver my baby girl Brielle in the comfort of our home on 6-9-18. I was in labor for 5 hours! I feel like I cannot put into words the huge impact she has had on our lives! She is just full of knowledge and experience and LOVE! To this day I still ask for advice for my baby girl and she is so much help! I put every ounce of trust into her and we have had nothing but blessings since meeting her! She’s amazing! Meet her and you will feel exactly what I’m trying to put into words! Thank you Shelby! We love you! ~ Suzy R. – San Antonio TX. Shelby is truly a light! We feel so blessed to have had her support before, during, and after the birth of our second son. Shelby is respectful, knowledgeable and an amazing listener. I feel like Shelby really “saw” me and gently guided me through processing the trauma associated with my first birth that I didn’t even know I had. She’s extremely professional – her methods of communicating as well as storing client information electronically was impressive to me. The visits leading up to the birth were extensive and made us feel like we were her only clients (which was absolutely not the case- she’s just one of those people that make you feel so important!). We also had the privilege of attending her Childbirth Education classes. We had previously taken classes with our first, but my husband and I agreed that this class is the most thorough and complete in regards to all areas of having a child- no matter the setting, as well as decisions parents face in the days before and after giving birth. We looked forward to it each week! Without going into too much detail, although I know if you’re reading this, you might love a good birth story, I was at risk for complications towards the end of my pregnancy. I had weekly NSTs in addition to my regular OB visits as I planned my hospital birth. During my last appointment, by baby flipped to breech and my doctor sent me over to L&D and prepped me for a C-section. I was adamant in my feelings of absolutely not wanting a C-section- and my baby was absolutely fine, so there was no reason at that time for a C-section. I called Shelby immediately and we discussed options which really helped me communicate more clearly with my doctor. Shelby also came to the hospital to support me emotionally even at 0cm- very appreciated. When she returned the next day after a successful version and beginning of induction, she is the reason I was able to stay in control during the contractions. She gave me the information and the confidence that with a low dose of Pitocin, my body would in fact take over- and it did!! I cannot say enough about the way Shelby helped guide our baby earthside. It was powerful and beautiful. She also empowered my husband to support me, while giving us space to work together at the same time. My husband is a huge advocate and supporter of having a doula at our births – I’ve heard him talking about what a difference it made for him to his friends. Shelby also cared for my placenta as we chose placenta encapsulation. She again showed professionalism in her care for my placenta, the processing of it, and the delivery of the capsules. When she came to deliver them, I found myself not wanting her to leave! Shelby, we are so grateful to you and blessed to have found you. 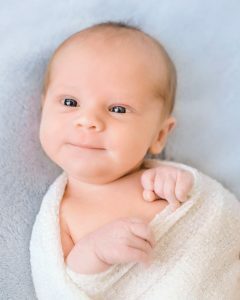 If we have another baby, I will feel more confident immediately with you by my side. Thank you for helping me find my power from within and believing in me. I had never even heard of a “doula” before I met Shelby, even though my mother had two home births back in the day. It sounded kind of weird, I admit. Now I am totally convinced that we need a doula at EVERY birth, no matter where it takes place. Shelby was amazing, and she put me at complete ease during the entire process: learning what was going to happen through her classes, providing feedback leading up to the onset of labor, being at the house at about the same time I woke up for the beginning of active labor, and the whole labor and birth process, as well as all the support afterwards with breastfeeding and all kinds of other advice. Really, it’s like the difference between driving down the road during the day with a clean windshield or driving at night, blindfolded, on a twisting road in the forest with a dirty windshield. A doula provides coaching for dad as well as mom. Shelby requires (or should) that you go to her classes. I learned a ton and felt much better about what we would be facing. We could also face some of the more difficult decisions with more information, such as home vs hospital, vaccinations, breastfeeding and circumcision. The entire process gave me a lot of confidence because Shelby was also coaching my wife, Christina, so I felt that pressure was not on my shoulders. The classes also informed us about all the practical things we needed to have ready before the birth, and there are way more than I could have imagined. All of that made the birth go very smoothly, but again, Shelby was there to walk us through each step of the way. She coached me on how to help Christina, showed me how to massage her and when to stop, and communicated with the midwife so that we didn’t have to. I was able to be very present during the entire labor process and not have to try to remember what the next step was. Shelby prepared the birth pool and brought food and drink as necessary. She monitored each stage as it progressed from one to the next. She provided massages and pressure herself when I got tired and needed a break. During the final stages of labor and the actual birth the midwife was in charge, but Shelby was right there next to her, showing me what to do and how to be helpful. I even got to catch my own son as he popped out in a gush of amniotic fluid! It was the most beautiful thing in the world. I couldn’t help but think in the back of my mind that cleaning up after being awake from midnight to 9am was going to be quite a chore, but when I finished some skin-to-skin with my son I turned around and the whole house was already clean. Shelby had taken care of everything, and after she and the mid-wife left we just laid down and held our baby. Then we promptly called her for the next six months to ask for all kinds of advice. From not knowing what the word meant I’ve become an advocate for every Dad having a doula next to them. It makes birth, whether at home, in a hospital, or at a birthing center be the best experience ever. In fact, we didn’t have to use it but in case we transferred to the hospital we had our lists ready of what we wanted and didn’t want, our bags packed, snacks prepared and the carseat locked into place. I’m so glad that we discovered what a doula is and so grateful to Shelby for such an amazing experience. 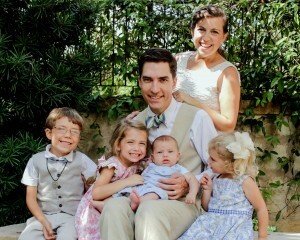 We were blessed to have Shelby as our doula for our 3rd baby. She is a very knowledgeable and experienced doula with a kind heart. I loved Shelby from our first phone conversation! I knew I wanted her on our birth team before even meeting her. 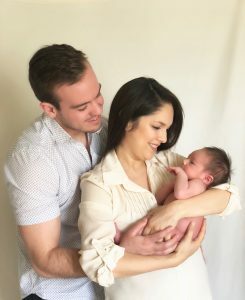 We took Shelby’s natural childbirth classes because it was our plan to have a natural vaginal birth after cesarean. I was very determined to have a VBAC. Shelby understood this and completely supported me. Shelby met with my family in our home and was loved by all. My husband began to refer to her as “his BFF” because he was so grateful that she would be by our side and it relieved so much anxiety about the labor and delivery. My daughter really liked her and felt comfortable and prepared for the birth of her new brother. When the big day arrived, Shelby was like an angel! I don’t think I anticipated feeling as loved and supported as I did. I was amazed at how she made me feel like I was the most important person on the planet and did everything to empower and comfort me. She gently nudged my husband at times and answered my daughter’s questions and made sure she was included. She helped me labor at home just as I had planned. She even helped my husband with his headache using essential oils! Due to circumstances beyond our control, we did end up needing another cesarean. Shelby prayed with me and then accompanied my husband and me to the OR. She had such a calming presence and I was so grateful she could be there. After the delivery, Shelby stayed with us for quite a while as she promised. About a week a later we had a great postnatal visit and she delivered my placenta capsules and tincture. She explained how to use each of them and even brought me a special keepsake from the umbilical cord. If you are considering hiring a doula, Shelby is the best! She has an amazing heart and is so compassionate and loving. You will have a beautiful birth with her by your side. Shelby has been such a blessing to have by our side along this journey! From our first consultation interview, I knew I wanted to hire Shelby as our doula, and we were even luckier to have been able to hire her as our student midwife for our home birth. She surpassed any expectations I had envisioned. Her compassion and heart for this field of work shines when interacting with her. It was so comforting knowing I can still call her day or night and she is there to help in any way that she can, even if it’s just to listen struggles adjusting to mamahood. One thing I really love is that she is so knowledgeable on holistic options for any circumstance that arises. It’s so refreshing to know that remedies she suggests are safe and natural! My husband and I also took her childbirth education classes and they definitely helped prepare us! I ended up needing a csection, which was the furthest from what we had envisioned, but the classes helped prepare us for even that circumstance. Afterwards, Shelby helped me further by assisting me on processing my birth story and helped me see it was beautiful. My husband was skeptical about hiring a doula, but even he agrees that our experience with Shelby is worth way more than that we invested! There aren’t enough words to thank Shelby for everything she has done for us! To be honest when I first met with Shelby, I only wanted information on placenta encapsulation because a good friend had recommended it. I did not know what a doula’s purpose really was. I called her to set up an appointment and she was available the same day. She came by and spoke to myself and my husband. She answered all of our questions about natural childbirth, doulas, midwives, hospitals, birthing centers etc…we covered it all. She spent over an hour with us fully explaining everything. By the time she left I knew I wanted and needed her by our side. I knew I wanted a totally different experience for this birth. Since we are originally from El Paso, we have no close family here with us. I really wanted to feel supported through my pregnancy and knowing that I could have Shelby there was a relief. We hired Shelby the next day! She helped me find a midwife that would be perfect for our family. We took advantage of her natural childbirth education series and felt prepared for the big day. Although I was not able to have a home birth like originally planned, Shelby was there every step of the way at the hospital. She made sure my wishes for an un-medicated birth were honored. She held my hand and got me through one of the hardest things I ever had to do. My husband will have to do his own testimonial because he swears she was hired for him. He was so confident knowing that Shelby was there for us. We were so blessed to have Shelby be a part of our journey. I highly recommend her services. I only wish we could keep her forever!! As a Lactation Consultant, I see clients after their birth experiences. Clients open up to me about everything–from their experiences with their doulas to their experiences with their healthcare providers, and all of their “reviews” of their providers are fresh in their hearts. I say all of this to share that in my years of private practice work, and the dozens of times I’ve seen Shelby’s clients, I have never (not once) heard a disillusioned parent. The common theme about Shelby with parents is that she is loving and available. I have personally experienced her classes and trust blindly the information her students receive. She is objective and centered and teaches from her heart without extending guilt or fear. Were I to seek childbirth ed or doula care for myself or recommend a doula for someone in my family, I wouldn’t think twice about it–hand’s down Shelby would be one of my first choices. Shelby was essential to my labor & delivery! 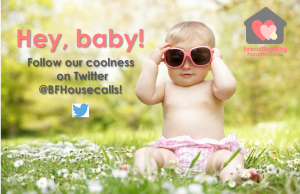 She was referred to us by a friend who lauded her experience & care during their home birth. 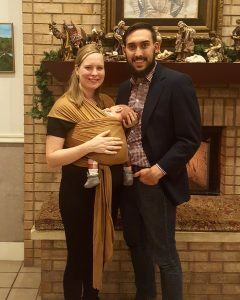 Looking to have a similar experience, my husband and I hired Shelby to help with the birth of our second child. Our first birth experience was less than desirable and we looked to Shelby on how to make it more within our control. We took her 6 week course on child birth & baby basics. The classes were excellent & very important to the success of our home birth. My husband & I were very confident when I started labor & made a great team. Even with all the tools Shelby gave us prior to the birth, her presence & couching were AMAZING & key to helping me through my quick, intense labor. My husband and I agreed that we both don’t know what it would have been like without Shelby’s guidance. She was like a loving, gentle, mother helping me through an overwhelmingly challenging situation. In addition to the birth support, her postpartum & breastfeeding care is incredible. I love that we found her & I wish I could hire her for all my friends! Friends, to all those looking to welcome a baby into this world (or know someone who will be), please consider a Doula. 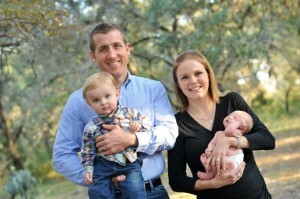 I had the honor & pleasure in working with Shelby through my pregnancy & postpartum. She is a deep well of information and carries a heart of love. She is a great listener and will help you & your partner through this beautifully, changing time. She is an encourager who helps you get “across the finish line” (birth) and helps empower you to continue running the many “races” ahead (motherhood/fatherhood). She is dynamic, gentle, caring, and kind. My Husband & I are so thankful for Shelby! Shelby Miller is an incredibly supportive, caring, and knowledgeable doula! My only previous experience with a doula prior to meeting Shelby, was hearing about one of my friends experiences going through labor without any support except from her doula. Since my husband and I had no other available support and have other children requiring different medical needs, we decided to pursue a little added help for our delivery day. Initially we were attempting to plan an “as stress-free as possible” delivery in a local hospital. Shelby, with her 18 yrs of experience, was extremely well versed in ways to support our choice and offered multiple solutions for different possible prenatal/postpartum complications during my high risk pregnancy. 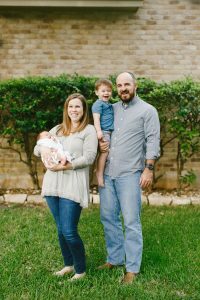 When I finally realized that trying to plan a stress free hospital delivery was stressing me out the most, we looked to Shelby for guidance about a last minute home birth. We sprung our change of plans on her when I was 39 weeks pregnant with no experience on home/water birthing! Shelby of course was awesome and totally supportive. She put in a good word and connected us with an awesome midwife, who was gracious enough to take a 39 week pregnant patient she hadn’t treated before. In the end we were able to have a home water birth, which turned out to be one of the most peaceful and empowering experiences both myself and my spouse have been able to have, not to mention the only delivery we have ever had without any complications. This was the first of 3 deliveries in which both my spouse and I were able to relax and appreciate such a beautiful natural process. Shelby was always quick to respond and provide guidance that brought my ever panicking mind to peace. She also aided me into different positions that completely stopped my back contractions (well worth any amount of money to me)! She is a wonderful wonderful doula and I would definitely recommend her for excellent overall emotional/physical support as well as for all labor environments! Shelby is an absolute Godsend. We were blessed to have her as our Doula for the birth of our first child in July of 2015. To say that her services were helpful is a profound understatement. Through her childbirth education classes we learned all of the ins and outs of the labor process, which allowed us to mentally prepare for the journey ahead. Although my wife and I laughed at the time, we found ourselves relying on many of the coping techniques she made us practice together in class. During labor is where Shelby truly shines. My wife endured an exhaustive fifty-one hour labor, the majority of which we did at home. Shelby was quick to arrive when we called her and stayed for as long as we needed. As labor progressed into latter stages and we transitioned to the hospital, her presence was invaluable. Each time my wife was nearing a breaking point Shelby was there to offer a new position, a bite to eat, or an encouraging word to reinvigorate her. For me specifically, Shelby’s vast knowledge of the labor process took all of the guesswork out of where we were in the progression and what we could expect at each stage. Moreover, she provided much needed direction to allow me to support my wife in ways I would not have imagined. Indeed, those moments we shared together are some of our favorite memories from the birth. The postpartum visits were a big help as well. She gave clear and concise instructions on breastfeeding and was able to provide much appreciated suggestions on the care of the baby. Even weeks after the delivery, Shelby was happy to answer our questions or ease our concerns. In all, having Shelby as our Doula was the best decision we made during pregnancy. She will forever be part of our birth story and our family. We recommend her services to anyone considering a Doula and know we will call upon her again for our future children. 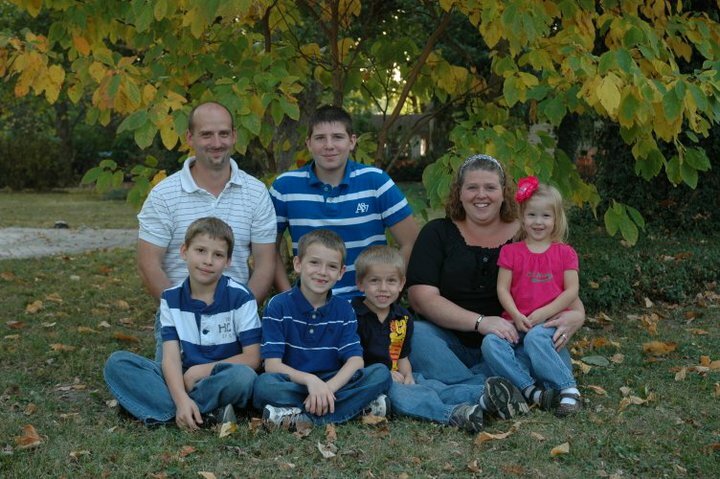 Every aspect of the care we received from Shelby during our pregnancy was extraordinary! Her childbirth education classes were fun and highly informative. We learned a great deal about the process of labor and how to cope with the pain of each stage. During labor, Shelby provided much needed support and guidance both at our home and in the hospital. Her knowledge and timely suggestions were key to our natural childbirth and we could not have fulfilled our birth plan without her presence. 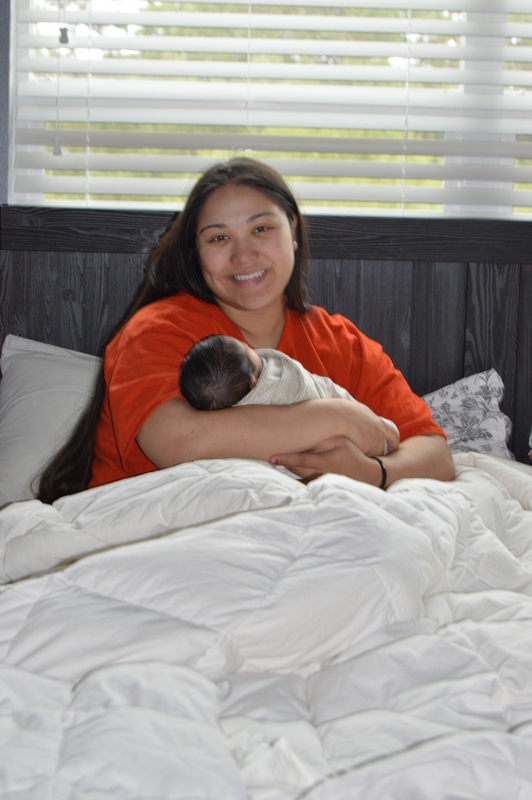 After birth, her tips on breastfeeding were a lifesaver! Shelby is truly an incredible doula and is highly recommended. Shelby Miller was an amazing doula! She brings a life-changing experience to the birthing process. She is incredibly knowledgeable, understanding, caring, and genuine. There is no way I would have been able to give birth 100% naturally without her. My husband agreed that he would easily have paid double what she charges for the value that she is to a birth. We love Shelby! Where would we be without Shelby? I don’t like to think about it. We were guided to her for a reason, and we never regretted our decision of choosing her to be our Doula. Although we knew we’d be having a hospital birth, I value the intuitiveness of my body over the one-size-fits-all approach of western medicine, and we wanted our Doula to accompany us to the hospital for additional support and guidance. 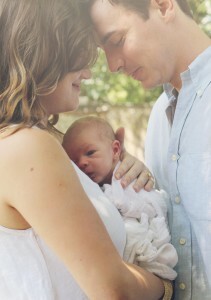 Shelby was the biggest supporter of both my husband and me during the emotional roller coaster of becoming parents. She played such a huge role in the outcome of our daughters birth. Without her, I know I would’ve panicked, given into fear, and subjected myself and my child to unnecessary medications, procedures, and side effects. 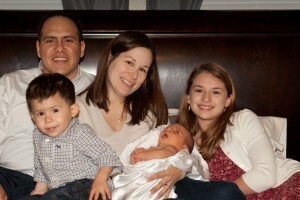 Additionally, we attended her childbirth classes for six weeks and learned so much more than we ever imagined we would. We also made lifelong friends-other expectant parents-in her class as Shelby has a way of attracting very genuine people into her world. She is a mother herself, a wife, a wealth of invaluable knowledge, a doula, a friend, and a saint. I don’t know how she survived working with me! I don’t consider myself a low-maintenance person to care for. I’m super type A, I ask a million questions, and I want to see all the research for myself. Through it all she never made us feel rushed during our visits together. She explained everything in detail that we’d discuss and she followed each meeting up with an email recap of what we went over and references for me to read. The people in her inner circle are like-minded and a pleasure to be around. Her recommendations on everything from prenatals to pediatricians and every bit of knowledge she imparts in between is tremendously helpful. Shelby is the most caring and helpful person…great qualities for a doula, of course! She was amazing for my son’s birth, and made me feel comfortable and at ease even during out first meeting. She will never make you feel judged for any decision you make about how to birth your baby, but instead, she offers support and genuinely cares about helping women achieve their goals for childbirth. I would recommend her in a heartbeat to anyone looking for a doula! I am forever grateful that my husband and I decided to have Shelby be our doula. 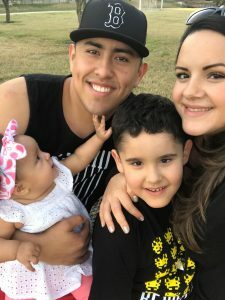 We decided to hire a doula due to unique circumstances – I was moving to the San Antonio area during my third trimester without having any local family or friends, and I would be giving birth at a hospital where my birthing team would be whichever staff was working at the time, likely a team I never met before. Before moving, I spoke to a few doulas on the phone, but I felt an immediate connection with Shelby due to her calm tone, reassuring words, and extensive knowledge. I met Shelby the day after I moved to Texas, and I knew I did not need to meet any other doulas – she was the one for my family. While our original motivation to hire a doula was to have one familiar face in the room to provide us guidance and support, I would highly recommend Shelby to any person about to have a baby, and I would love to have her present at any birth my family is blessed with in the future. My husband and I attended Shelby’s childbirth education course. Honestly, I was hesitant about this class, as I had previously attended a six-week class provided by a hospital and had read labor and delivery books. However, those things proved to be just a basic foundation for what we learned in Shelby’s class. There were new things we learned at every class, and my husband and I had deep conversations about the topics on our drive home after each class. Shelby was absolutely indispensable during the labor and birth process. She came to the hospital quickly and gave us her undivided attention for over 18 hours, including 9 hours of pushing. She suggested many labor positions, without being pushy but with confidence that I was capable of doing this. She also provided insight to medical decisions as the labor progressed, including explaining the benefits of an intervention that a physician poorly explained to me. I cannot speak highly enough or thank Shelby enough for the support she gave to me and my family throughout our pregnancy and birth. Even after we welcomed our daughter to the world, Shelby provided guidance and support with challenges we faced. In short, Shelby was a blessing for our family. Hiring Shelby as our doula was the absolute right decision. After a traumatic birth with our first child, I knew I needed a voice in a hospital setting, and also the support of someone who was knowledgeable and understanding. My first child was born via emergency cesarean, and I desperately wanted to VBAC with our second child. Having a VBAC just wasn’t in the cards for me, and our second child was born via cesarean as well. Shelby was invaluable to me, helping me work through those heartbreaking emotions and validating my feelings about my experience. She helped me grieve and process the birth, so I could focus on the precious baby God has given me. She honored all of my requests for support during the birth and immediately afterwards. Another main reason I hired Shelby was for the postpartum support that I did not receive with my first child, and knew I needed with our second child. Shelby was happily available at any hour of the day or night, and knowledgeably answered all my breastfeeding and newborn questions. Breastfeeding has been a struggle for us, and again Shelby has provided the emotional support that I need. Hiring her as my doula was the best decision for the birth of our child, I’m so grateful I found her. Thank you Shelby. As a midwife, I’ve had the opportunity to work with Shelby many times. I keep referring her to my clients because of her compassion, knowledge, and her obvious love for what she does. We hired Shelby very late in the game – I was 37 weeks pregnant and finally decided that I wanted a doula. She accommodated us in every way and was always available. When I finally went into labor I texted Shelby. She had literally just finished attending another birth but joyfully headed on over. She guided my husband and I through laboring at home and told us when we needed to head to the hospital. At the hospital she was a phenomenal coach and source of encouragement. Having attended two births back to back she was exhausted, but she didn’t show it and was completely invested every minute. After the birth Shelby has continued to be a constant supporter. This first time mama had a lot of questions for weeks and she always, always was patient and helpful. 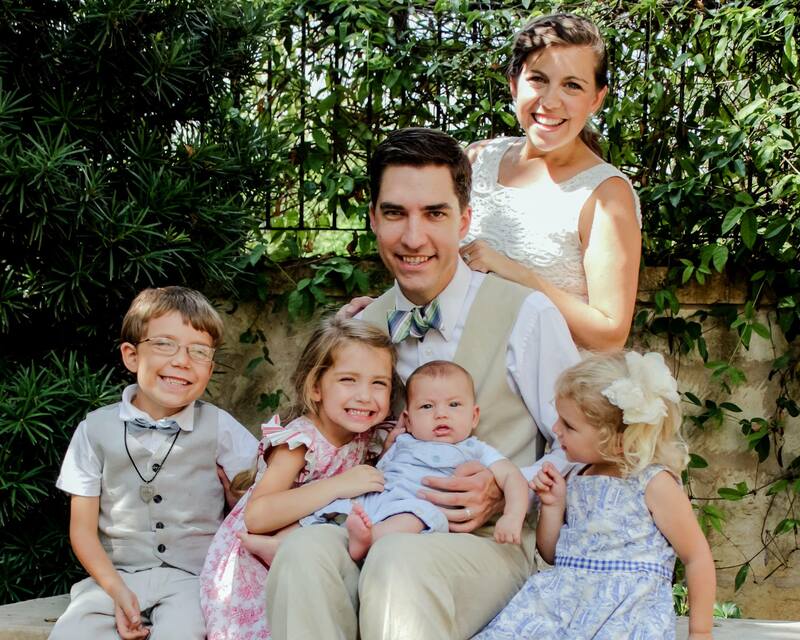 With Shelby’s help, I was able to have the natural childbirth I had hoped for. If I get pregnant again, Shelby will be one of the first people I call. I hired Shelby since my husband was coaching and I was due during football season. She was my go to for everything. I learned so much from her as this was our first child. From the pre natal care, birth support, the after care, using oils and the opportunity to encapsulate my placenta, my first experience at birth was a much more pleasant one because I had her support. Shelby was a huge part of my laboring experience. She arrived early on because I was in a lot of back labor pain. She moved my baby’s face away from my spine and provided many different massage techniques throughout the evening into early morning to help me cope with the contractions. She was a great reassurance to me and my husband, answered our every question, and acted in the calmest and most positive manner! I will definitely be sure she is at our next birth and would recommend her to everyone! She made the experience memorable. There is no price to put on a service so great!! Shelby is an amazing doula who truly delivers all she promises and more. With a third baby on the way, one would likely question why we would choose a doula, but having Shelby as a member of our birth team was one of the best decisions we have ever made. We gained knowledge. We developed fascinating and wonderful ways to get through some difficult parts of pregnancy, labor and delivery. We grew. Shelby instigated and fostered a healthy environment when our desires had to be redirected. She was available for all our crazy questions. Her sincere approach that was rooted in both knowledge and experience proved a beacon in our journey. We love Shelby and should we be blessed with any other sweet bundles of joy, she will be among the first people called! Shelby was a light throughout my pregnancy! She helped me so much and educated me so well. She was always there for me no matter what the question or problem was, or even just to check in! She is such a special spirit, and makes amazing soup!! Thank you Shelby!! When we asked Shelby to be a part of our birth team we were so excited. She was just the right piece we were missing. We added her well into our pregnancy, about the 6th month, but that didn’t matter. She was really easy to get to know and showed a genuine desire to want to know us. I had already had three births and so my kids asked, “Why do you need to attend birth class? Don’t you already know what you’re doing?” Shelby is why. She is very knowledgeable and I found myself learning something new at every class and, even at points where I was already familiar, her presentations excited and awoken me to the wonderment of pregnancy and birth. Having her apart of our birth team was great. She was a wonderful addition on the day of labor for our time at home, during labor, and postpartum. She defines the meaning of “doula” and I am thankful for her for so many reasons! Shelby Miller was our Doula for the birth of our first child in June of 2014. Choosing Shelby as our Doula was the best decision we made throughout the birth and pregnancy process. She’s not only compassionate, and understanding, but also very knowledgeable. Through Shelby’s birth classes we learned about the stages of labor, the emotional expectations, breastfeeding, and newborn care. During the birth, Shelby was a strong advocate for, and support of our birth plan even when our Doctor was not. For me she was there for every moment, both physically and emotionally to help me get through all of the challenging moments, and help prepare me for each next step and stage. 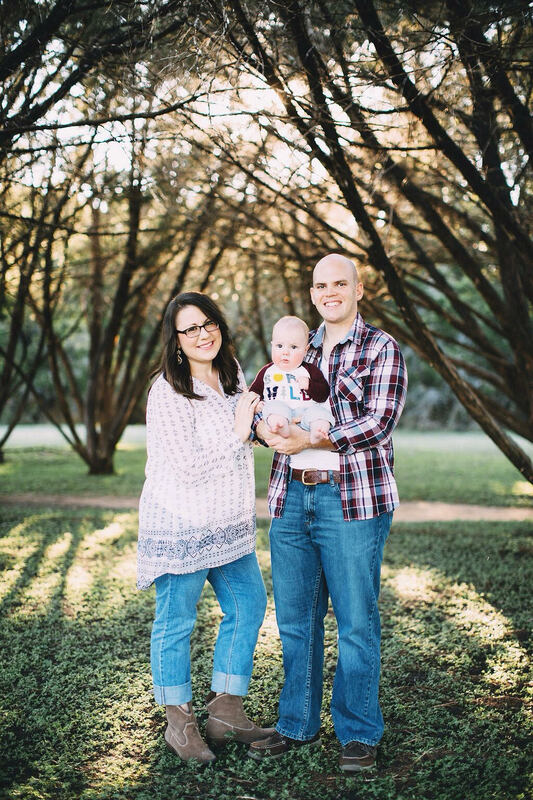 For my husband, Shelby provided continual direction to help him prepare for the support I needed emotionally, and helped him understand what to expect so he was not overwhelmed by the unknowns encountered during my birth. After the birth, Shelby stayed for several hours at the hospital to make sure all of our questions were answered and to make sure we had everything we needed for our first night with our daughter. Upon coming home she was there for us for the the first several weeks, anytime we called or had questions she would enthusiastically assist with anything we needed. I can’t imagine a birth experience without her loving encouragement, and we highly recommend Shelby to be a part of anyone’s birth experience as she will absolutely help you make the best of it! After finding out we were pregnant again soon after our first child, we immediately called Shelby to book her as our doula for our second pregnancy and birth as well! She was supportive throughout weeks of prodromal labor, even in the middle of the night when regular contractions would wake us up in hopes of a birth. When the time finally came for the home birth of our second baby, Shelby was there all through the night. She even sent my Hubby for a nap around 1am while she continued providing labor support during contractions. She is excellent at reading the situation to assess what is needed and helping to achieve the right atmosphere during the birth. After birth, she stayed with us until we were all comfortable and settled in, including the new baby. We are so thank ful to have shared two wonderful birth experiences with Shelby, one hospital and one home birth. I didn’t have a doula at my first birth and I knew that for my second birth I really wanted one. Shelby was the perfect addition to my birth plan. She was so sweet and informative. I thought my labor went great and I totally attribute that to her. And when I was struggling with the pain of pushing Shelby was there to really help me overcome and get through it. I couldn’t of asked for a better woman to help me bring my baby earth side. Highly recommended! I have myriad reasons to recommend Shelby Miller as your doula and childbirth educator. Let me start by mentioning the priceless transformational affect she had on my husband, Andrew. When we learned that I was pregnant, poor Andrew found himself at his wit’s end; he had no idea how to channel his desire to aid me in my pregnancy. This made the early stages rather rocky for us, since we both needed support but had little to offer each other. In the midst of this I met Shelby through a common friend. I had a gut feeling that she would help us by being a sort of guiding light (and encouragement) to Andrew. Happily, my hunch proved to be accurate! Shelby knew just how to put Andrew at ease and authentically empower him throughout the whole process, from pregnancy through the delivery of our little Moira Hazel. Moreover, she helped me to better communicate my needs to my husband. This has given way to deeper levels of trust and intimacy between us (like I said, priceless!). As new parents, we found ourselves plunged into a medical world where things are not okay until proven otherwise (and even then, there is still a place for fear to creep in). I got sicker than most women in my pregnancy, having a condition known as hyperemesis gravidarum. Shelby is what I call a lifetime student, always pursuing new facts and evolving her interpretation of available information. She went out of her way to compile valuable information on how to identify, treat and cope with my difficulties—something you’d be hard-pressed to find on your own. Due to her high level of integrity and commitment to her field, she helped us to find sound perspective on the facts we were presented, and with it, peace of mind. To be able to ask a well-informed, trustworthy person the questions we had was a major blessing. Shelby played an invaluable role during the thirty strenuous hours of my labor and delivery. First of all, she was present for me every second that I needed her. It blows me away to consider the impact her eye contact and/or verbal reminders to breathe or focus and had when I was in the throes of labor. Whatever I needed, be it that reminder to stay focused, lip balm, physical aid (to sit, stand, lie down), Andrew, touch, water, prayer, oils and beyond, it was available. Thirty hours is a long time to be awake. In everyone’s interest (mine most of all), she arranged a catnap schedule for her and Andrew so that they could stay alert for the full duration of the labor process. Again, her ability to cooperate with and empower Andrew was stellar. She also took careful note of what nurses were doing and relaying the situation to Andrew. Since there were multiple shift changes over that time, new nurses were frequently in and out. When there was a discrepancy between our birth plan and what was actually happening in the delivery room, she handled it with extreme delicacy, but was fiercely protective of our wishes at the same time. It is a rare gift to be able to toe that line so deftly. It was also exactly what I sought in a doula. She is one hundred percent dedicated to protecting the sanctity of each woman’s birth experience. I could go on (I didn’t even get to the mental/emotional preparation or postpartum segments which were also amazing and excellent)! Suffice it to say, I have been extremely pleased with Shelby as our doula and will without a question have her again in the event of any future pregnancy. Shelby was my doula for the birth of my second child in 2012. She was beyond amazing. I was so glad to have her full and dedicated support when I needed someone the most. I felt at ease with her and confident in her knowledge of how the body works. She often knew what I needed when I didn’t even know. That’s a good doula. The business side of things was great as well. She’s kind, calm, and trustworthy. I highly recommend her services. “I can’t say enough about how appreciative we are to have had Shelby at our son’s birth. He’s our first child, and we learned quickly about how intense the birth experience can be. After nine months of anticipation, it all comes out in a flood of nervousness, excitement — and when those nasty contractions come — intense pain. Shelby stepped into the middle of it without having met us beforehand. We literally met her at our house when Susy was in early-stage labor, but it wasn’t long until we felt like old friends. She introduced herself to the mother-to-be with a foot-rub, and in no time, she was tuned into Susy’s physical needs and emotional state. We did lots of prepping for the big day. We took the classes and read the books, but speaking as the dad, there’s no substitute for having someone there who’s been through it before and knows the tricks of the trade. It was invaluable for my peace of mind, and I know Susy would agree. Even more valuable is to have someone there who is such a sensitive and caring soul that she can make the birth experience feel intimate and special without even meeting us beforehand.